Our facility can be rented for community events like birthday parties, bridal showers etc. click here for more details. 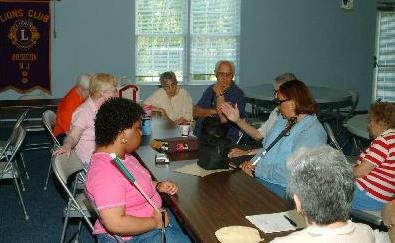 The Lions Blind Center is a Community Center that is committed to enhancing the quality of life by providing information, referral, peer support, and advocacy to the blind and visually-impaired. 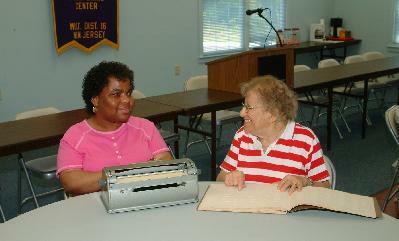 Computer classes, braille mentoring, and orientation and mobility-training empower participants to set and achieve goals without loss of vision hindering their progress. Sighted and vision-impaired individuals can accomplish exactly the same goals with the only difference being the path they may take to get there. 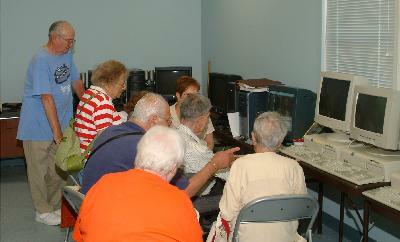 Classes are held in the center's own computer lab, including instruction in JAWS and Zoom Text. The Zoom Text program magnifies the display screen, making it useful for those who have some vision, but just need print to be enlarged. The JAWS program talks to you as you use the keyboard, telling you what you are typing and checking your spelling. There are no costs to students for classes. 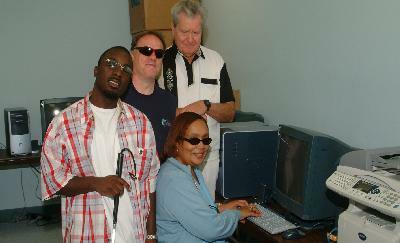 All expenses are paid by the Blind Center, which is funded by donations. The center also offers SARA, the Stand Alone Reading Apparatus, which requires no computer knowledge to use. There are four closed circuit magnifiers available for community use at the center. Each has new innovations to try. Laser dots to hold your place while reading, color, as well as black and white, automatic focus and so much more make reading so easy. With the closed circuit systems, photographs can be viewed and checks can be written. Labels on canned goods and medicine labels are no longer a mystery. The uses are countless and are limited only by the creativity and need of the user. As well as computer classes the center provides white cane travel, cooking classes, transportation, daily living skills, access to the latest aids and appliances and social services for the blind and visually impaired. 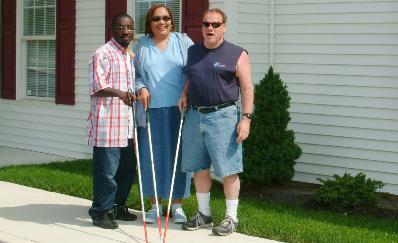 The center accepts all blind and visually impaired regardless of age, and includes the complete family in activities. No fee is ever charged for any service to the blind or visually impaired participants. Everything is funded by the seven local Lions' Clubs tireless fundraising efforts and donations, the center receives no funding from Federal, State or County sources. For additional information, please click here. The DVD Library and The Clothes Closet etc. These activities will be on going year round. DVD Library is open to the community for borrowing and for purchase. The Closet is for those in need of clothing, shoes handbags, scarfs, hats etc. and for purchase. Thank you so much for your support in this worthy project.